Sofia Swing Dance Festival is organized by Lindy Hop Bulgaria, the largest swing dance school in the country, founded in 2009. Since then Lindy Hop Bulgaria has been dedicated to develop the swing culture among the newly born Bulgarian swing dance scene by organizing various events related to swing music and dancing. One of the aims of the project is to build a professional cooperation among different actors in the swing sector by establishing the European Swing Network. While in the Jazz scene there are several opportunities available for professionals and artists to meet and exchange practices, this is still not true for the swing scene despite the audience’s growing interest for this genre. Our ambition is indeed to create a new space where artists, festival organisers and agents can meet and cooperate. 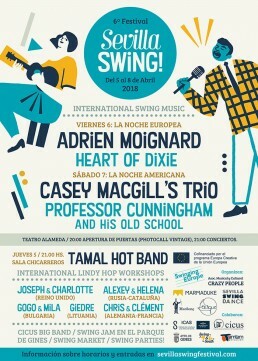 In this context we are very glad to invite you to take part to the second European Swing Fair that will take place in Sofia, Bulgaria the 29th and 30th of May. Travel, accommodation for two nights and food costs during the fair will be fully reimbursed for one representative of your entity. We kindly request you to confirm your participation by the 15th of March by filling and sending the application form to caterina@marmaduke.info so that we can better organize the logistics as well as to make available this opportunity to other colleagues in case you are not able to join. 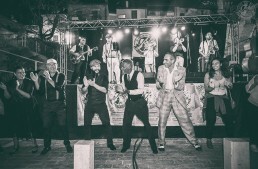 Lindy Hop Bulgaria & Marmaduke on behalf of the Swinging Europe project. Swinging Europe contest's jury is glad to announce the results of the contest. Swinging Europe is glad to communicate that the next European Swing Fair will take place in Sofia the 28th and 29th of May in the framework of Sofia Swing Festival. Save the dates and don't miss it! 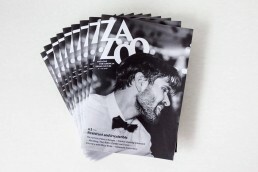 In the framework of the VI Sevilla Swing festival we present you the first bilingual magazine (English-Spanish) about European Swing culture, which is called ZAZOO! A place which reflects swing music and dance but also other topics as well -politics, literature, sociology, gender- in order to make us reconsider our cultural identity. 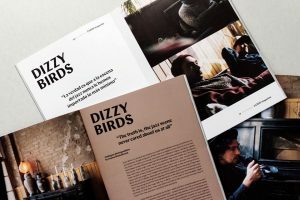 This is the first publication, which will be available for purchase in the Sevilla Swing Festival, including reputable brands such as Manuel Recio, Marta Caballero, Chema García Martínez and Fernando Mansilla, along with an interview with the band Dizzy Birds and the wonderful design graphic by Zazou Zah. 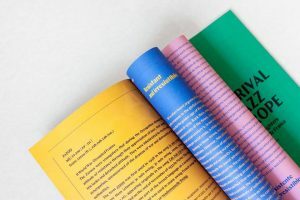 Each festival/company/organization will have 10 minutes to present and share with the group its activities, methodologies, collaborations, present and future challenges. Swing Music comes from the ’20-’30 of the last century. Why is our interest focused on this style now, after almost 100 years? What’s the reason of this revival in our times? 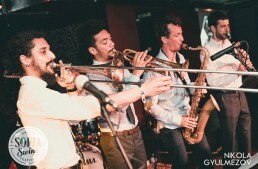 Several bands are playing swing music all over the world during the last decade at least. They are influenced by different bands from the past with an eye on modern music. What are the influences from the past and what the innovations of the music they create? Is there room for professionalization of those new band with old repertoire? 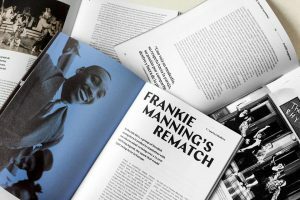 What are the challenges and the opportunities of the Swing music sector? What kind of systematic events are organized at European level (dance concerts, clandestinos, ecc)? Are there any difference between south and north of Europe? Functioning of the schools and different swing style. 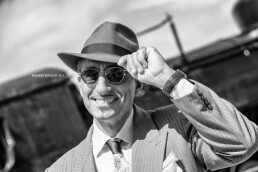 What are the challenges and the opportunities of the Swing music sector?